As the classic song goes, ‘Christmas time, whisky and wine!’… or something along those lines! 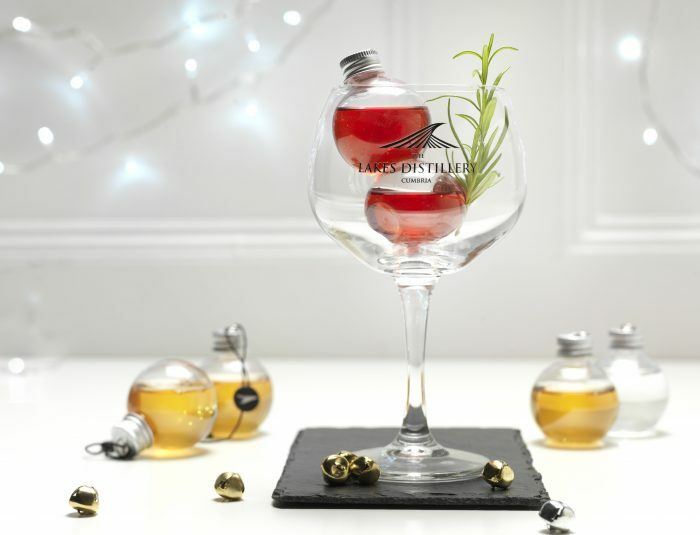 It may be August, but Christmas is fast approaching; we’re all very excited to introduce our first launch of spirit baubles, The Spirit Of Christmas! Decorating the tree has never been so delicious. So, get in from the cold, light the fire and put on some festive music. Complete the perfect evening with your favourite tipple! This winter, immerse yourself in The Lakes Distillery’s festive celebrations. Our elegant baubles are truly a sight to behold; perfect as a gift or a delightful treat for yours truly. It is Christmas, after all! The exciting new range includes a selection of single 20cl baubles with exquisite ribbon, containing either The Lakes Gin, The Lakes Vodka or The ONE British Isles Blended Whisky. Also available are gift sets each containing six 5cl baubles filled with the spirits of The Lakes Distillery, with a whisky set, a vodka set and a gin set. The vodka and gin sets include an exclusive preview of our highly-anticipated flavoured vodka and gin liqueurs. Read more about the new range here. Filled with spirits distilled to perfection in the British Isles, not only are they perfect for decorating the tree, but also ideal as a luxury gift or treat for all palates. The baubles have been designed specifically to be displayed on the Christmas tree, replicating the traditional bauble shape. The smaller, 5cl baubles are presented in packs of six, each pack representing one of the three iconic Lakes Distillery spirits. These golden baubles are rich with notes of honey-roasted nuts, spice, and hints of dried fruits and wood smoke, perfect with a drop of water to release the aromas. The Lakes Gin gift pack will include two baubles of The Lakes Gin with two baubles each of The Lakes Gin Sloe liqueur and The Lakes Gin Damson liqueur. The Lakes Vodka gift pack will have two baubles of The Lakes Vodka, two baubles each of the brand new flavoured vodka liqueurs: The Lakes Espresso Vodka Liqueur and The Lakes Salted Caramel Vodka Liqueur. Read more about our spectacular new liqueur range here. We are extremely proud to have partnered and developed this concept with one of the UK’s leading gift businesses, Lanchester Gifts, which is a division of Lanchester Wines. “Partnering with a team as passionate about quality as the Lakes Distillery has enabled us to have delivered a premium product to the market for this Christmas. We used our expertise and gifting sector knowledge to develop this new format for the Lakes Distillery to present its luxury spirits over the festive period. We are also excited to be working with them on an all year round gifting offer which will launch in February 2018.”, said Ruth Peyton at Lanchester Gifts. The perfect partnership? We think so! The baubles will be available from late September 2017 in retail outlets across the UK and our website. Coming soon to a Christmas tree near you! The baubles look awesome. I have already bought things from shop for Xmas but will def be buying these too what a lovely idea. Hi Jane, The vodka and gin sets feature our liqueurs as well as our classic spirit. This includes The Lakes Salted Caramel Vodka, The Lakes Espresso Vodka, The Lakes Sloe Gin and The Lakes Damson Gin. Keep your eyes peeled on our website, they will be available soon! I quite agree it would be lovely to have a mixed set ! can I get these sent to the US? Great gift idea will definitely be getting some . Hi Lydia, the 20cl bauble will retail at £19.95 and the pack of six baubles will be £34.95. Looking forward to these becoming available, please advise. Will these be available from the distillery shop? It’s great to see spirits presented in a non-traditional (yet traditional) way! the industry can mix up flavours as much as it likes but if there’s no innovation in presentation then they may not appeal to the widest market possible. This idea targets the novelty gifts market without being tacky, which is fantastic! In fact, they have been designed to look really classy. Will definitely consider as gifts come Christmas time! When are they available to ship to the US? When you follow the link you provided. A window pops up that says that your shipping destination has been chosen and doesn’t go away no matter what browser you are using. I tried 3 different ones (Safari, Firefox and Chrome). Please advise, This message doesn’t go away no matter how many times you press ok or pick a different distantion. P.S. Frankly, I flabbergasted by the fact that a company of your calibre would be having such type of issues. Here is a link to Master of Malt, our third party retailer, which ships to the US. I’ve not had any complaints of problems with the website, but do please get in touch if you are still experiencing problems.